This is a continuation of my previous rant (er…article) confronting the fear of personal destruction from allegedly dangerous, harmful chemicals that constantly surround us; this cloud of doom introduced into our lives through a countless number of sources – authorized or otherwise. As humans, we naturally fear the unknown or the unfamiliar. We thus easily succumb to the intimidating world of science. And so, there’s something about these (borderline jibberish) chemical compound names that instinctively elicits some level of fear in us regular folk. Even sodium chloride sounds much more mysterious and peculiar when described using its formal name, even though it’s nothing more extravagant or complicated than the ordinary table salt you’ve just sprinkled on your French fries. This brings us to the second issue surrounding the terrifying theories expressed by many media outlets at one point or another stating that this substance and that substance are in some way highly dangerous to our health, while potentially omitting or manipulating data and thus not necessarily providing the relevant scientific evidence that may prove otherwise. Issue #2. Don’t be tricked by ‘sciencey’ words. Simply because a chemical found in your lipstick, on your backpack, or in a local pond has a long fancy, name that only an established scientist can properly pronounce does not necessarily translate to high levels of toxicity and a serious hazard. Perhaps the most entertaining example of this involves dihydrogen monoxide, or DHMO, an odorless, colourless substance associated with a multitude of health and environmental issues, including, but not limited to: cancerous tumors, acid rain, and climate change. Based on the information provided here, a proposal to ban this substance does not seem farfetched, but rather seems quite urgent and necessary. Some may even say they are genuinely scared that governments are allowing substance associated with such harmful effects to go unregulated. DHMO, the scary sounding dihydrogen monoxide, is in fact nothing other than our good friend, water – and I dare you to ban or eliminate it. I invite you to watch Penn and Teller (those witty gentlemen) further investigate just how easy it can be to convince ordinary members of the public that water should be banned simply by substituting the common name ‘water’ with the more scientific name ‘dihydrogen monoxide’, and describing nothing more than the very properties of water that would be of no surprise to these individuals if the latter term weren’t used to describe it. (Okay, these people were mostly hippies – but it successfully demonstrates how little research some people are willing to endure before scribbling their name on a petition as ridiculous as this one). Watch here. Environmental hysteria and an unjustified use of jargon can go a long way to create fear about this daunting dihydrogen monoxide substance. As I’ve mentioned numerous times before: Yes, there are no doubt a multitude of dangerous, toxic substances in the environment and in our homes that absolutely require regulation and immediate attention to protect the health and well-being of humans and wildlife. 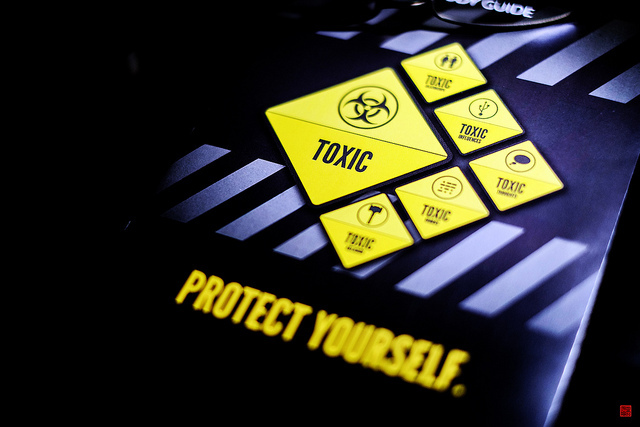 The purpose of this is to draw attention, once again, to the fact that we have to make an effort to be more critical of all types of information – not just those concerning chemical hazards – which we are exposed to on a daily basis. We need to, as a society, become less gullible and instead ask more questions and demand more information. If we become increasingly critical, and even skeptical, of information thrown at us, the media in its entirety will have fewer and fewer chances to pick and choose the snippets of scientific information to use as an attention grabber, without providing the full story. For example, a hypothetical news article titled, “Chemicals in lipstick highly toxic to rats,” should also, if reported responsibly, provide information as to whether or not there is a strong chance that the LD50 in rats (see Part 1 for an explanation of what this means) will also elicit an adverse effect in humans with consideration of the typical concentrations we are exposed to. To end with an insightful quote from the video: “Is passion supposed to replace common sense?”. I definitely hope not. Let the thoughtlessness of the people in the video encourage you to continuously be critical of all things reported, whether or not it relates to chemicals in your environment.